Pure borage seed oil containing essential omega-6 fatty acids that may help improve fatty acid metabolism, oxygenation, blood flow, and reduce inflammation. NuMedica Borage GLA 240CP is a cold-pressed extract of borage seed oil that is derived from Borago officinalis, a blue flowering plant native to the Mediterranean area. This powerful natural essential oil is extracted by a process that relies on no chemicals or harsh refining techniques. The result is just the pure and simple oil that brims with nutrients that may provide healthful support for the body's various functions. With its nutritious makeup, NuMedica Borage GLA is designed to support fatty acid metabolism, stabilize blood pressure levels, and may provide other healthy benefits for people who take this all-natural supplement. NuMedica Borage GLA is a rich source of gamma-linolenic acid (GLA) and linoleic acid. Gamma-linolenic acid is an omega-6 fatty acid that is found in many plants and vegetables. As an essential fatty acid, GLA is needed to support optimum health. Scientists have concluded that GLA is important for brain function and also plays an important role in the body's development, bone health, metabolism, and even the reproductive system. Linoleic acid (LA), another omega-6 fatty acid that is found in many vegetable oils, is also required for optimum health and supports healthy skin along with other functions of the body. 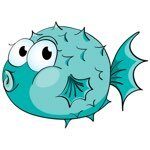 What Is Fatty Acid Metabolism? Fatty acid metabolism refers to the body's way of making energy and it is essential for life. This energy is vital for everything we do- talking, thinking, moving, and even breathing. With its rich supply of omega-6 fatty acids, NuMedica Borage GLA supports this essential metabolism our bodies need to thrive. 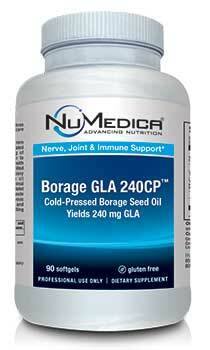 NuMedica Borage GLA, with its essential fatty acids, may significantly improve oxygenation and blood flow. Borage seed oil may stabilize normal blood pressure levels. In addition, arthritis sufferers may find reduced symptoms of inflammation resulting in less joint discomfort and stiffness. Others have reported improved skin and a reduction in dermatitis symptoms. Historically, folk and traditional medicine practitioners used borage tea to treat ailments like colds, bronchitis, and even menopause symptoms.